Since the publication of its Decolonial Aesthetics Manifesto, on May 22, 2011, the activities of the Transnational Decolonial Institute exploring and enacting have grown considerably. But perhaps the most significant event was the publication of the special issue of Social Text-Periscope with the collaboration of a distinguished cast of artists, activists, theoreticians, philosophers and curators who have participated in the initial events (Bogotá, Colombia, 2010 and Duke University, US, 2011) as well as in a series of events that followed up in Berlin (BE.BOP May 2012 and 2013 and the upcoming 2014, in Copenhagen, curated by Alanna Lockward), two panels in the Havana Biennial organized by Miguel Rojas-Sotelo and Raúl Moarquech Ferrera-Balanquet; AND, AND, AND Five Decolonial Days in Kassel, organized by Pedro Lasch; a symposium on Decolonial Aesthetics, co-organized by e-fagia organization and FUSE Magazine (October 2013), with the participation of Rojas-Sotelo, Ferrera-Balanquet, Lasch, Dalida María Benfield and Walter Mignolo. In the said volume, the concept and the idea of decolonial aestheTics/aestheSis has flourished in the hands, the pens, the voices, the moving images, installations and curated events. I can say with confidence and with the certainty that this saying will be endorsed by the contributors, that decolonial aestheTics/aestheSis is here to stay. I am not happy using this common expression, but it is the best I can find now to describe what happened and what is happening. The shared ground of decolonial aestheSis community critically engages the Western tradition of “art” (which etymologically means “skill”) and uncouples art/skill from the modern belief that aesthetics could be only understood in the Kantian frame of the beautiful and the sublime, and its postmodern and altermodern updates. “Critically” here is taken in the Kantian sense in order to start and depart from him. That is, decolonial aestheTics/aestheSis starts by a critical take on Kant’s decolonial aesthetics and departs by “critically” delinking from it. By “critically delinking” I mean that is not just a gesture without reasoning but it is a reasoning that takes Kant’s seriously to recognize his imperial contribution and to depart from him. By writing “aestheTics and aestheSis” (a sort of Barthesian formula where T/S emulates his famous S/Z), we propose a sign to indicate our delinking from Western colonial “aesthetics.” When and why ¨art¨ that refers to a skill (as in Aristotle, “poiesis” meant first and foremost “doing” and “mimesis” mean most and foremost “pretending or re-presenting” were brought together in his Poetics to describe certain “doings” whose goal was to generate “catharsis” in the audience. We ask then how is it that “art/skill” came together with “the sense of the beautiful and the sublime” through the “genius” of the artist to activate the senses beauty in the audience? Eighteenth Century Western European philosophers like Greek ancient philosophers, were doing what thinkers and doers of every known civilization, much before the Greeks and all around the tiny space and population of Western Europe in the Eighteenth Century, were doing: to use the extension of the hands to create inscriptions in flat surfaces, using body movement, ornaments and “tatuajes”, using rhythmic sounds in coordination with the movement of the body to provoke in the audience some kind of effect that was dear to the cosmic-vision and cosmic-sense of the community. In ancient Aztec civilization, in xochitl, in cuicatl (la flor, el canto) was a type of “doing” that motivated the spiritual dimension of the audience maintaining the constant communication between the members of the community (both rulers and the people, tlatoani and macehuales) to the cosmos. Thus, while aesthesis is universally diverse, that is, it is pluri-versal philosophical aesthetics attempted to circle and cage aesthesis into the universality of European sensibility. It worked for a while. It was contested within the same principles by postmodernity (Ranciére) and altermodernity (Bourriaud). But the era of universal aesthetics is gone. Postmodernity and altermodernity have to be reduced to size, and this is one of the tasks decolonial aestheTics is engaged in: it is through decolonial philosophical aestheTic discourses that the project promotes the liberation of aestheSis. Liberating aestheSis means to delink from Western philosophical aesthetics. It also means to engage in healing the colonial wound3. Why colonial wound? Because decolonial aesthetics (Kant’s contribution and legacy) established itself as the universal “critique of judgment” and, therefore, devalued and disqualified (and sometimes ridiculed, like in Immanuel Kant’s Observations on the Beautiful and the Sublime, chapter four) the uncontrollable and un-tamed richness and splendor of aestheSis. Decolonial artists’ work is no longer attempting to comply with the beautiful and the sublime but to undo, to heal, to celebrate, to empower themselves and spread the empowerment by building networks, communities and love. Decolonial love4 is, in the last analysis, the direction in which the cure of the colonial wound, in the sphere of art (artistic work, workshops, writing, dialogue, courses and seminars, publication of scholarly and journalistic pieces), takes place. Decolonial cures are not the psychoanalytic cure for two reasons. First, psychoanalytic cures are individual, person-to-person–the analyst who knows helps the patient who derails. Decolonial cures emerge from communal and shared work and engagement; there is no one who knows and helps the derailed. Decolonial cures emerge from the communal work of persons who felt and assume the colonial wound. Which means that colonial wounds could be also repressed and in that case the individual needs a psychoanalyst. Why? Repressing colonial wounds evinces a strong desire of assimilation, and that is precisely the role of the psychoanalysis: to re-rail the de-railed. Secondly, decolonial healing comes from the awareness of colonial differences (patriarchal and racial, that is, feeling inferior in ranking established by patriarchal and racist “naturalization” of social organization and hierarchies), from the unyielding need to delink. Thus delinking moves in the opposite direction to assimilation. Delinking paves the way to create our own selves, not to become what controllers of education, media, capital, and religious institutions create. Delinking from the colonial matrix is not an anarchism. Anarchist delinking was not generated by the colonial wound but by the rage of economic exploitation and political abuses of power. However important these goals were and are, anarchism is embodied in modern subject and subjectivities while delinking and healing from the colonial wound are embedded in subject and subjectivities of colonial subjects (devalued by heteronormative gender/sexual and by racial categories). This is the frame and the direction in which decolonial aestheTics/aestheSis is unfolding in our (all of us and of those who feel comfortable dwelling in the decolonial option) communal activities. The orientation is not to work on and move people through sensing “the beautiful and the sublime” but to move people in the recognition of the colonial wound, the path of delinking and the decolonial cure. This is what the sphere of art (works, theory, workshops, installations, museums, events, seminars and publications) become through decolonial aestheTic/aestheSis option. 4 Dominican writer Junot Diaz, Pulitzer Price and Mac Arthur Fellow, write about the failure of ¨colonial love¨ in his most recent novel and short stories. Writing about the failure of colonial love is a way of longing and working toward decolonial love. http://www.salon.com/2012/07/02/the_search_for_decolonial_love/. First Nation Leanne Simpson, writer, activist, singer write about the resurgence of First Nation through invading the public sphere with their life, narratives, stories, theories mining and undermining the pretense to universality of Western Knowledge. She to brings her communities into “Islands of decolonial love.” http://leannesimpson.ca/2013/10/25/islands-of-decolonial-love-songs-by-leanne-simpson-friends/. Decolonial cures do not need psychoanalysis but communal and decolonial love. What Westerners label “art” is become a weapon of decolonial healing and decolonial love. 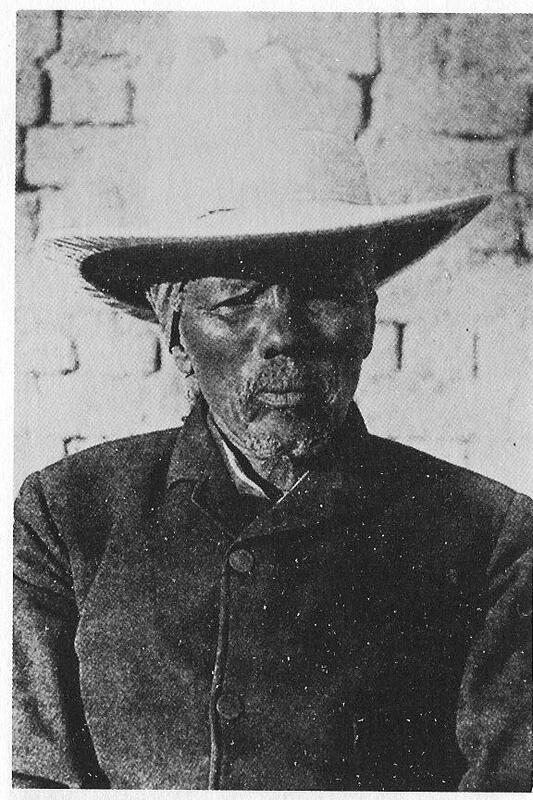 Hendrik Witbooi, Nama Chef who wrote one of the first decolonial manifestos against German colonizers on August 4th, 1892 and was killed during the Herero-Nama War in 1905. • • Gugelberger, George M / Witbooi, Hendrik 1984: Nama Namibia. Diary and letters of Chief Hendrik Witbooi. Boston: Boston University Press.